The team from McCarron & Co bespoke kitchen designers were once again invited to an exclusive chef’s table dining experience at Miele’s London Experience Centre. The chef cooking was Alex Jagger a leading chef with over five years’ experience of both corporate and private events. The evening gave McCarron & Co a chance to thank our clients who have previously purchased a luxury bespoke kitchen which included Miele appliances, as well as our clients who are currently proceeding through the design process. The menu that evening showcased dishes that can be created using some of the unique functions of the specialist Miele ovens. 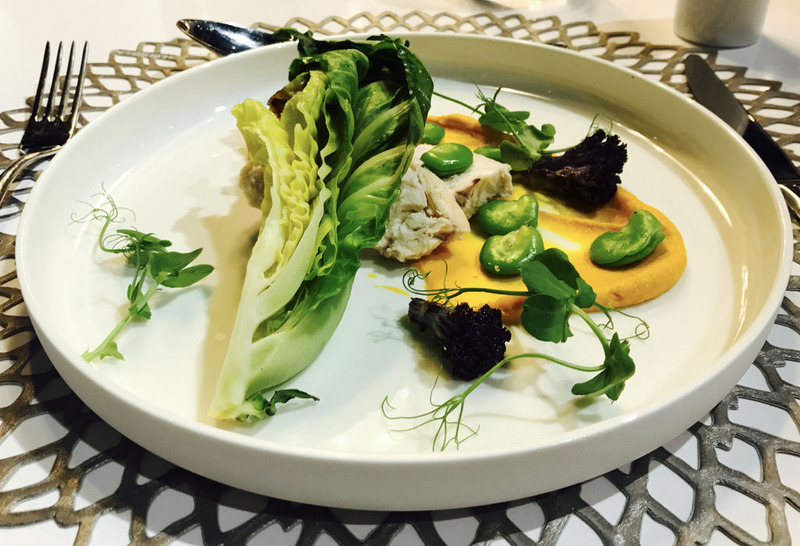 It was certainly a display of fine dining, which can be created at home and our clients were impressed with the restaurant quality dishes, which led to excited conversations about forthcoming dinner parties that were inspired by the evening. The first course of the evening was tomatoes, whipped burrata and black olive powder. 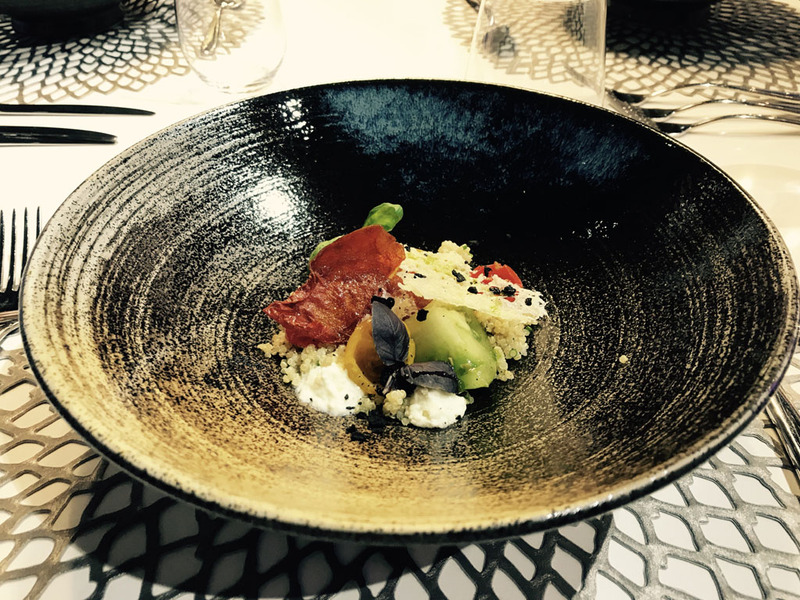 This was served in a stylish handcrafted earthenware dish, highlighting the vibrate colours of the ingredients on the plate. The dish utilised the Miele warming drawer to make the dehydrated tomato and black olives components which added an intense flavour and crunchy texture. Alex explained the method in detail with passion which was clearing evident in the presentation and flavour. 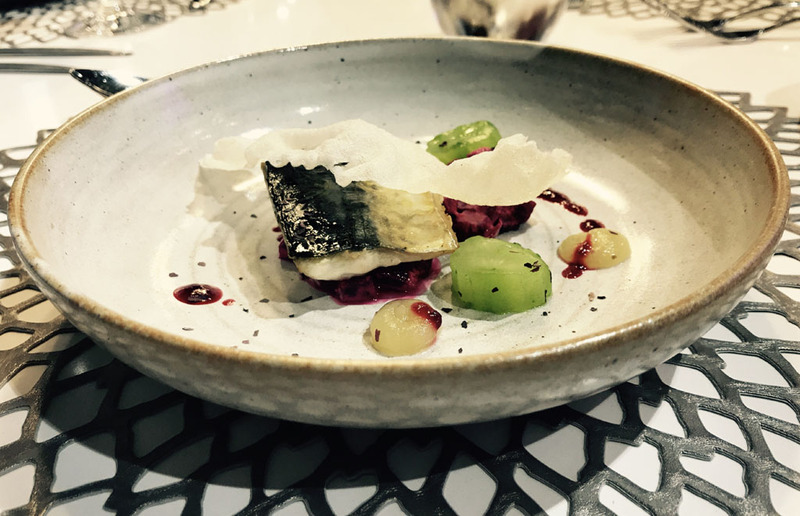 The next course to be served was mackerel, beetroot and cucumber. Once again served in a beautifully handcrafted earthenware plate that enhanced the vivid colours of the ingredients. The cucumber served in this dish was full over of flavour and used the new Miele vacuum drawer to increase the intensity. Alex’s enthusiasm when explaining the method was infectious and the simplicity of the method got the table chatting about the possibilities of the achieving a dish of this quality at home. A dish of roast chicken, grilled cabbage, carrots and broad beans followed, and this was the most succulent roast chicken most of the table had ever eaten. The chicken was cooked in the Miele steam combination oven with the meat probe, which produced extremely flavoursome chicken with crispy skin. The two-stage method used, which Alex claimed was almost fool-proof in creating perfect results, certainly exceeded the table’s expectations. The evening was rounded off with a raspberry and pistachio dessert. The sponge was so light and delicate, and was the star of dish. The pistachio sponge was created using the vacuum drawer and after tasting this dessert it soon became apparent this was the must-have appliance in the kitchen. 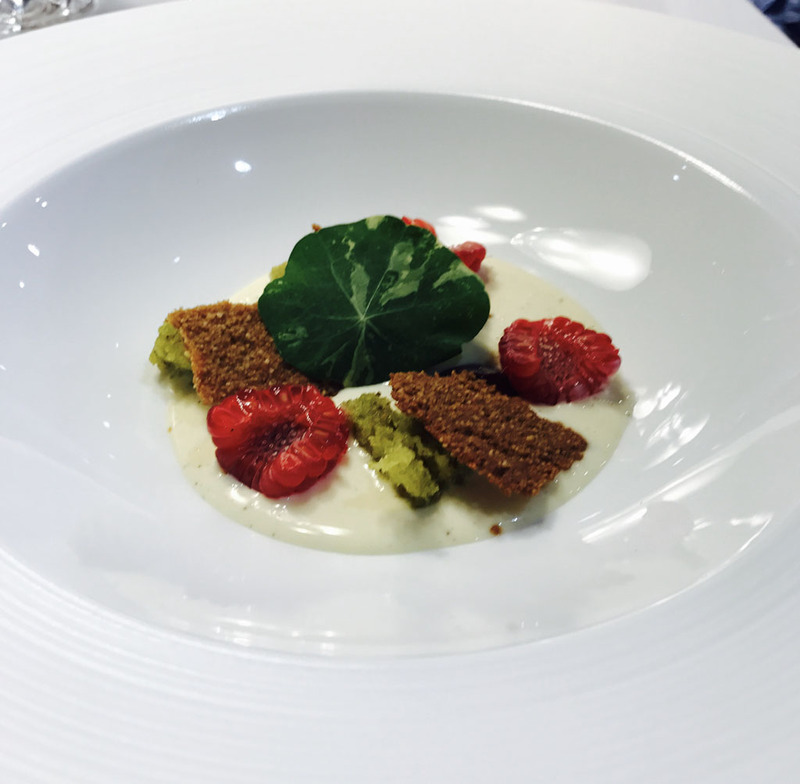 The evening was a huge success and the dishes showcased the Miele appliances to their full potential – an intimate dining experience using domestic ovens.